DC JusticeRidge Big Trouble in Little Kina of Pupukea, SC "Kina"
MBIS CH PupukeaRidge Ikaika O Sprngvly x CH Kariba JusticeRidge AylaMichele, SC "Ayla"
First Trial as a Field Champion / Dual Champ! New Field and Dual Champion!! JusticeRidge is Proud to Announce Our New Champion!
" 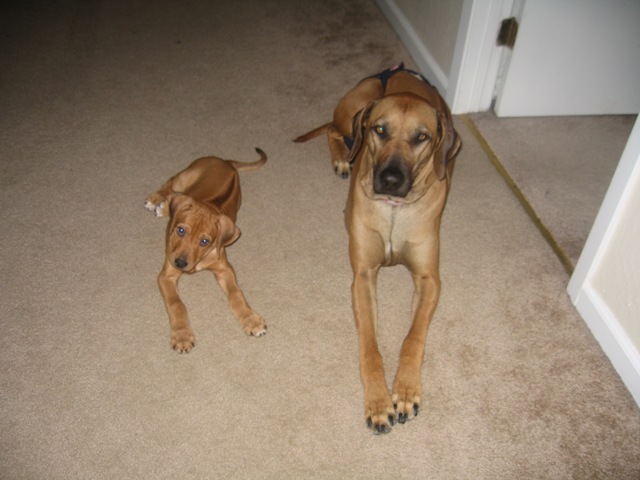 CH JusticeRidge Big Trouble in Little Kina of Pupukea, SC "
What a Fantastic Way to End 2010 and Start 2011 ! 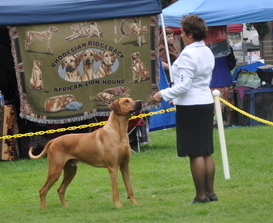 First 2 Trial Weekends = Two Best of Breeds! QC / JC Title on Sat - BOB and 2 PTS Sunday ! I normally do not post so many details but this is a very special brag that I would like to share about Kina's accomplishments done in California. 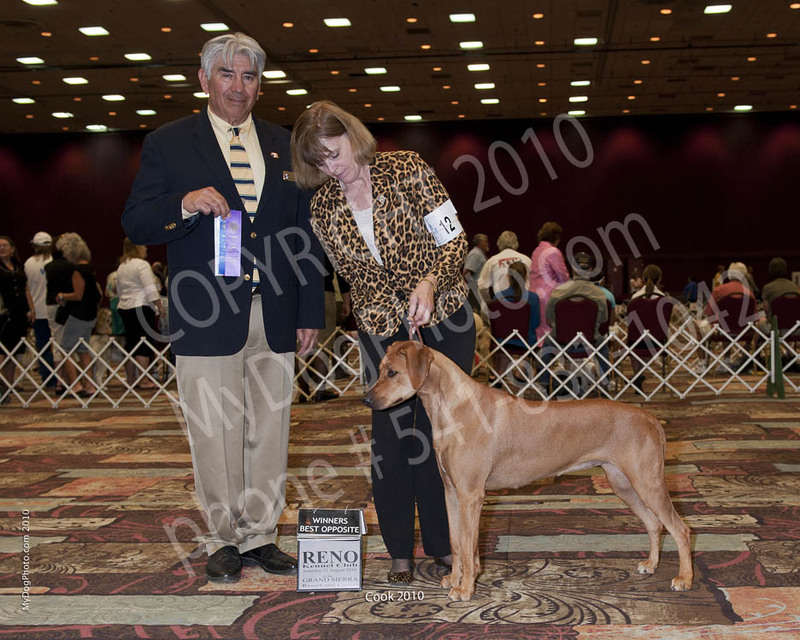 Due to the fact our first priority for Kina was to earn her AKC Conformation championship, we did not begin her lure coursing career until she had both of her AKC conformation majors and most of her minor points, so her first test to earn her Junior Coursing Title/QC, etc began on October 22, 2010 at the BARRC LC Speciality in Livermore. This was Kina's first leg of her Junior Courser. Kina was unable to complete her QC that day due to a terrible accident when her Mommy "Ayla" tore her pads on the same day Kina won a Five Point major at the conformation show in Pleasanton, CA show, so we skipped Kina's QC test for that day. The next opportunity for Kina to earn her 2nd leg of her Junior Courser was November 20, 2010. 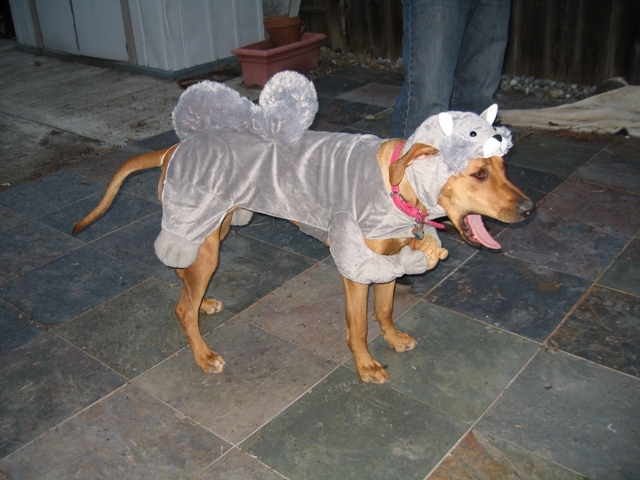 Kina did run for her JC and also completed her QC the same day which allowed her to run her first trial the next day. 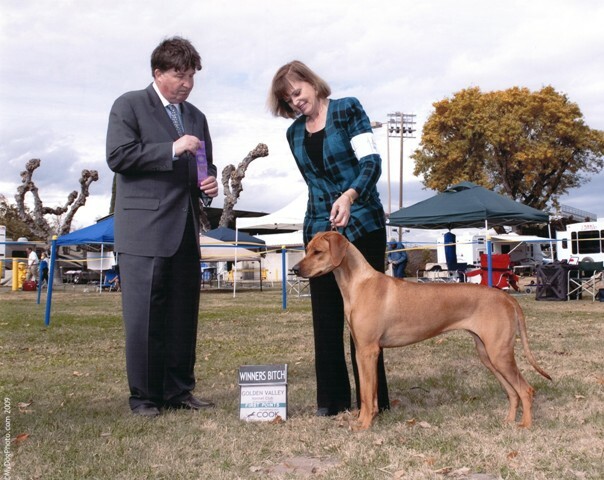 The following day (November 21, 2010), Kina ran her first trial and won her open class and Best of Breed, winning her first 2 points towards her Field Championship. 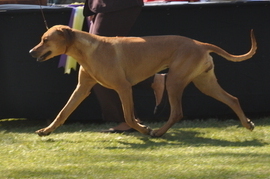 Also the first leg of her Senior Coursing Title. The next trial was December 4th, 2010 at the BCONC where Kina won 5th place in open and her second leg of her Senior Coursing Title. 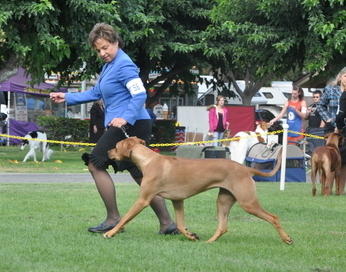 The next day at the same club, Kina won her open class and Best of Breed for her first 5 point major, now giving her 7 points and her third leg towards her Senior Coursing Title. 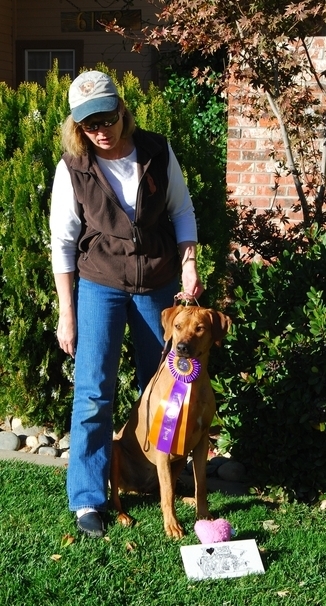 Starting a new year with a New Champion for JusticeRidge, our next goal is Kina's Field Championship and Dual Championship. 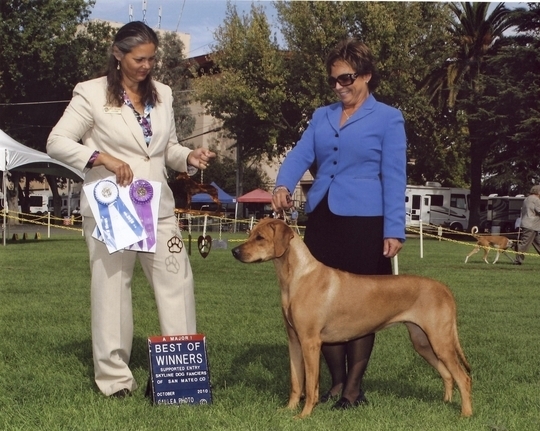 Next trial was April 3rd, 2011 at the SSIH in Sloughouse, CA and Kina wins her open class and Best of Breed for her second 5 point major and 4th and final leg to earn her Senior Coursing Title. 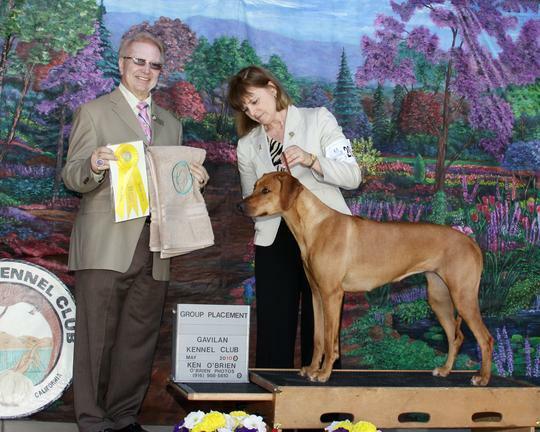 Kina now has a total of 12 points towards her Field Championship and is a Senior Courser. 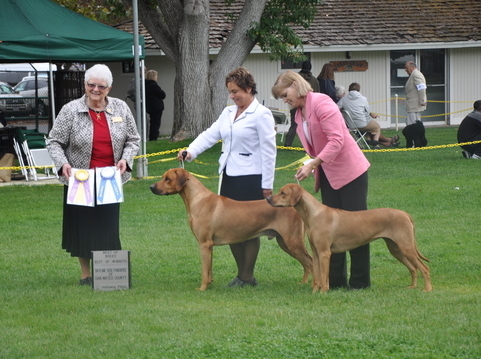 April 14th, Kina runs in the Orange Coast Rhodesian Ridgeback Club's (OCRRC) LC Speciality and wins 5th Place, but not giving up we enter at the next trial to be held by the Bay Area Rhodesian Ridgeback Club (BARRC) on April 30th, 2011. 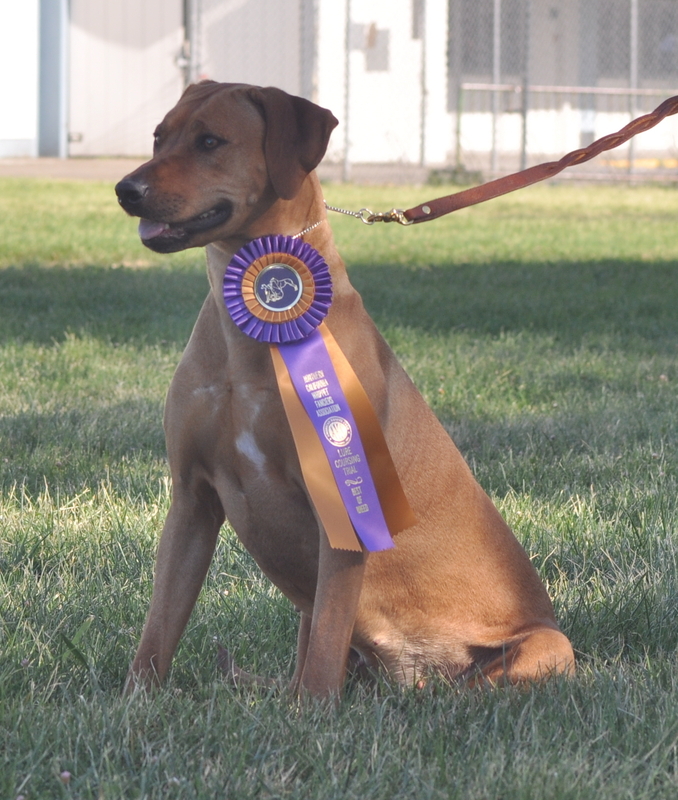 Kina wins 3rd place and 2 more points, one point shy of her field championship. 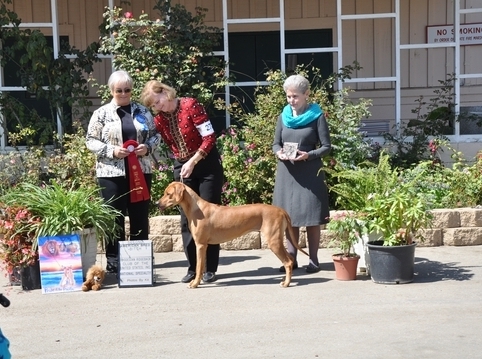 May 1, 2011 --- Kina runs at the same venue at the Northern California Whippet Club (NCWC) and ties for first place and has a run off and wins first place and earns her Field Championship. Kina runs off for BOB against the Specials and Veteran and wins her 3rd Best of Breed and her third LCing Five point major!! JusticeRidge has their first Dual Champion! Kina Wins 3pt Major in California ! 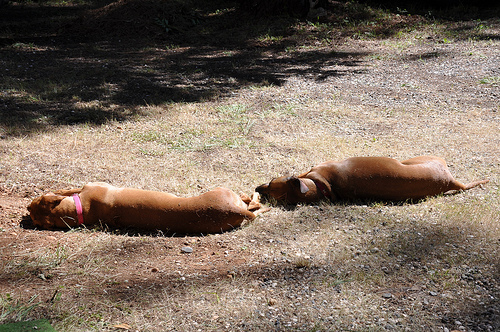 The Girls Enjoying the Sun!!! What is this white thing??? 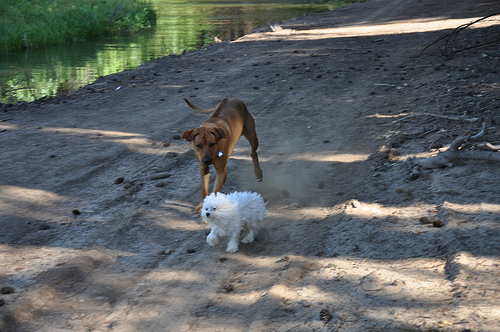 Are we Lure Coursing ? ?